Are you looking for someone to take the things off your plate that you dread most about your business? Consider hiring a virtual assistant! I am offering virtual assistant (VA) services to help you focus on the things you love most about your business and take over those that you don't. I am a former elementary teacher who spent 7 years in the classroom and taught grades 2-6. I've blogged using both the Blogger and Wordpress platforms. I have HTML experience. I have an Etsy store where I sell invitations. I've been on Etsy since 2010 and am familiar with the ins and outs of their website platform. I use Instagram, Facebook, and Pinterest regularly and am familiar with their business platforms. I use Tailwind to schedule my own Pinterest pins on a monthly basis and Link in Profile to convert followers into buyers on Instagram. I use ConvertKit and have experience transferring service from MailChimp. I use Google Drive and have created Google Apps compatible resources for TpT. I have both a PC and Mac laptop, which comes in handy when needing to test resources out on both operating systems. I use PowerPoint to create my own resources and have access to the whole Office 365 suite of software. I have FlatPack for PowerPoint on my PC and can flatten PDFs or editable PPT files. I use Adobe Acrobat to flatten and secure PDFs. I use a Canon Rebel T6 digital camera for product photography. I have a ring light, various wood and solid color backgrounds, and seasonal and school supply props. I have a subscription to PicMonkey for creating images with watermarks. I use Airtable and Trello to organize my own business and can easily collaborate with you for your projects with these platforms. If you need to share files with me, Google Drive and OneDrive are two cloud services I use. I also have experience with Dropbox. I track my time with LogMyHours. I can easily send you my timesheet if you want to see the hours I've worked. I use HelloSign to send contracts to clients to digitally sign - no printing/scanning needed! We can communicate via email, Facebook messenger, or use another service if you prefer. 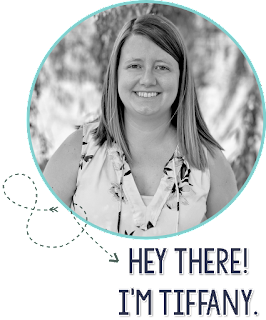 Send me an email at tiffany@thelearningeffect.com. I will respond within 24 hours during the week (Monday-Friday).